The Beechey Account Books (W. Roberts, Sir William Beecehey R.A., pp 220-59) contain references to four portraits of Anglesey between 1817 and 1822 but as he was received into the Order of the Garter in January 1818 the first only is relevant; but an engraving of this was published in March 1817 and bears no resemblance to NPG 1581 which is painted in a soft woolly style totally at variance with Beechey's normal work. 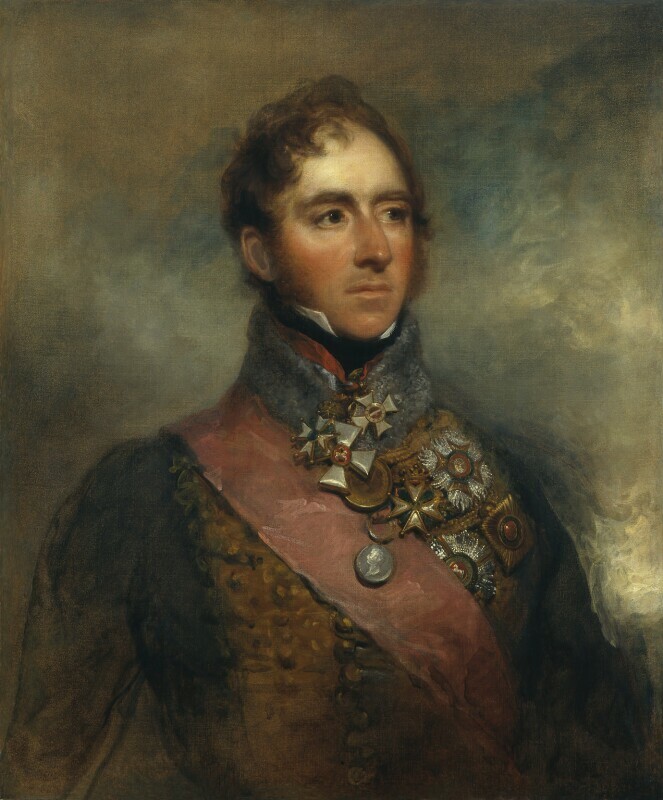 In addition to the Bath, among the Crosses worn at the neck is the Order of Hanover awarded to Anglesey in 1816, so presumably the NPG portrait was painted between this date and the Garter date of January 1818. For the present therefore the name of the artist should be considered uncertain, though Beechey's son could be a possibility. Quarter-length in Hussar's uniform, high grey lamb's fur collar over black stock and white shirt of which points are just visible; clean-shaven, fresh-faced, brown hair and whiskers, no moustache, hazel eyes. Stars on breast: GCB and Ribbon, William of the Netherlands, Guelphic Order of Hanover, St George of Russia. Crosses from neck: Maria Theresa of Austria, St George of Russia, William of the Netherlands. Medals: Waterloo Medal (lying on Ribbon of Bath) and Army Gold Medal. Mr E. H. Flood of Barbados; Henry Graves & Co and bought from them in 1910, as by Sir William Beechey.